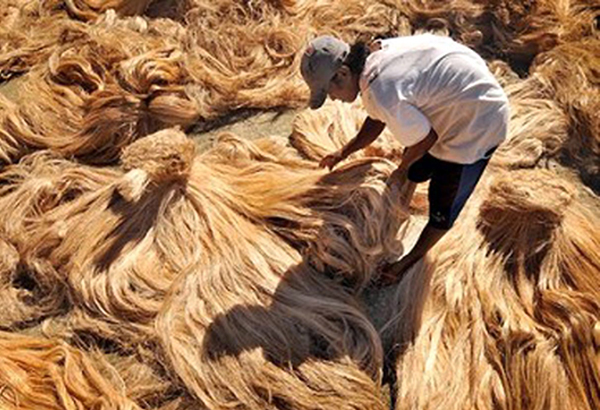 Abaca, known internationally for its world-class fiber, “Manila hemp,” continues to be one of the priority agricultural commodities of the Department of Agriculture (DA) with the country supplying more than 87.4 percent of the total abaca fiber market and earning more than $111.33 million in global abaca trade annually. However, problems such as low farm productivity, low supply of high-quality fibers, and the presence of diseases continue to threaten the industry. Abaca bunchy top virus (ABTV) is the biggest constraint to abaca production with it lowering the quality of harvested fibers while hindering the growth of infected abaca, resulting in no harvest at all. 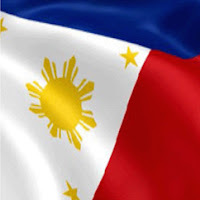 First observed in 1915, ABTV wiped out more than 12,000 hectares of abaca plantations in the provinces of Southern Tagalog and Bicol regions and eventually reached Visayas and Mindanao provinces such as Eastern Visayas, Davao, and Agusan del Sur. With the increasing global demand for abaca pulp and fiber, the need to come up with solutions to manage the disease has been of urgent concern. The DA, in partnership with experts from all over the country, has embarked on various productivity-enhancing measures to ensure the increase in supply of abaca, one of which is abaca varietal improvement. Developing new and improved abaca varieties started in the country in early 1950’s through the initiative of University of the Philippines College of Agriculture (now University of the Philippines Los Baños) and the Bureau of Plant Industry (BPI). Realizing how the industry has depended on the old abaca varieties, which were found to be very susceptible to diseases that have caused the massive decline in the sector, developing new ones with desirable traits such as high fiber yield and resistance to viral diseases has offered a profound solution. Focused on developing a resistant variety, the team identified Pacol, a wild variety of banana, as a source of resistance genes for ABTV. Though hybridization between Pacol and abaca had started, the project was terminated in 1960’s. In 1981, UPLB-Institute of Plant Breeding (IPB) started another abaca breeding program which found out that Pacol and abaca hybrids, though resistant to bunchy top virus, has poor fiber quality. To recover the good fiber qualities of abaca, a series of backcrossing (BC1) was conducted. In 2006, another round of breeding work took place and a second backcross population (BC2) was developed that had improved fiber qualities as compared to the F1 and BC1 hybrids which only offered resistance to the dreaded ABTV. In order to hasten the abaca breeding works, the government has implemented aimed at making the development of abaca varieties much faster since breeding will be more directed with the use of DNA markers linked to the trait of interest. Marker-Assisted selection (MAS) removes the bias when morphologically selecting superior abaca varieties as it objectively selects abaca lines that are genetically superior and resistant to viral diseases. The project, which is also being implemented by the Institute of Plant Breeding, College of Agriculture of the University of the Philippines Los Baños, seeks to respond to both the threat of abaca bunchy top virus and the industry’s demand for high fiber quality and yield by developing abaca varieties with high yield potential, excellent fiber quality traits, and virus resistance through the use of molecular marker-assisted breeding techniques. Molecular marker techniques, which are biotechnology tools, utilize genetic marker systems in order to increase the efficiency of the screening/selection process. To do this, scientists look for a genetic marker, a specific sequence of DNA which is tightly linked to the trait of interest. With the markers located near the target/desired DNA sequence of the gene, they tend to be inherited from the parent to the offspring, otherwise known as genetic linkage. This linkage helps scientists identify specific genes that plants will inherit from one generation to another. The project, led by Antonio Lalusin, utilized developed molecular markers associated with the important fiber characteristics that are vital to the industry and built-in resistance to bunchy top virus found in abaca germplasm collected all over the country. With the genetic diversity of abaca in three islands of the country found to be highly diverse, results of the markers were deemed useful in providing the information needed to improve cultivated abaca germplasm, and the conduct of in situ conservation, molecular-based breeding, and development of superior abaca cultivars. Using molecular markers associated with good fiber quality and resistance, the project found three out of all collected accessions from Baguio, Palawan, and Aurora as having potentially good characters, and may be promising parents for future abaca breeding programs. From these selected promising accessions with resistance and good agronomic characteristics, cross pollination was conducted. Selected accessions were used as parentals and were crossed with selected Backcross two hybrid and other traditional varieties. From the conducted hybridization works, 63 hybrids out of the 84 offsprings survived and 35 hybrids were screened using gene-specific markers targeting resistance and presence of BBTV. From this number, only three were found to be BBTV positive and five hybrids were found to show promising tensile strength with resistance to ABTV and BBTV. The project now looks forward to further tests and succeeding evaluations of the hybrids through manual inoculation with viruliferous aphids, which are known to transmit BBTV and ABTV to test for stability in disease resistance. They will also undergo tests on agronomic characters and fiber characteristics to confirm good fiber quality. The government sees these new hybrids contributing to the industry and providing stable earnings to the thousands of Filipinos dependent on abaca farming and to the processing industry.